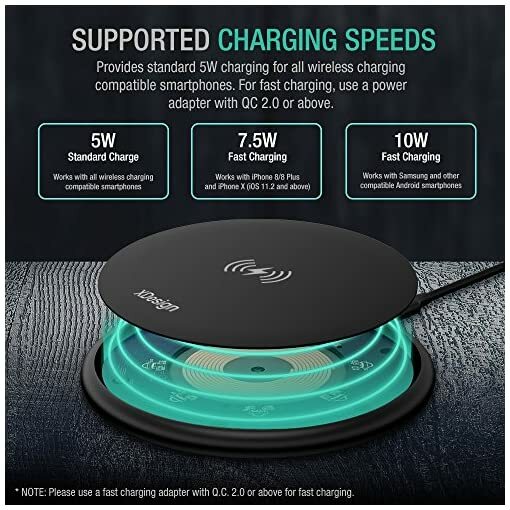 THE FAST WIRELES CHARGER STAND for iPhone – Supports iPhone XS MAX / XS /XR / X / 8 / 8 Plus up to 7.5W Charging: 50% faster than traditional 3.5W – 5W wireless chargers with a maximum 10W output. 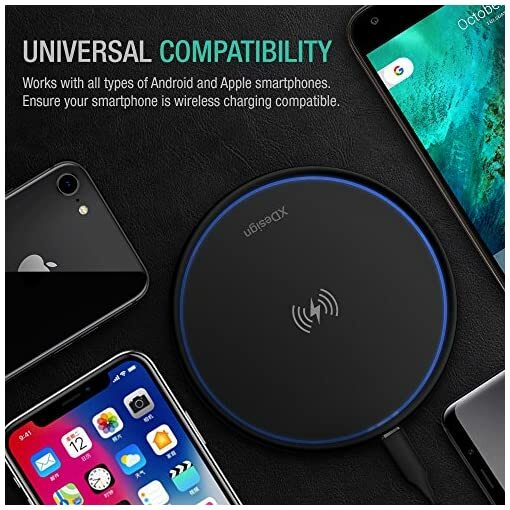 COMPATIBLE WITH ALL Qi-ENABLED PHONEs – Includes the new iPhone XS MAX, iPhone XS, iPhone XR, iPhone X, iPhone 8, 8 Plus, Samsung Galaxy S8, S8 Plus, S7, S7 Edge, Note 9 8, and S6 Edge Plus; non-Qi enabled phones are still compatible but will require a Qi wireless charging cover to power up. 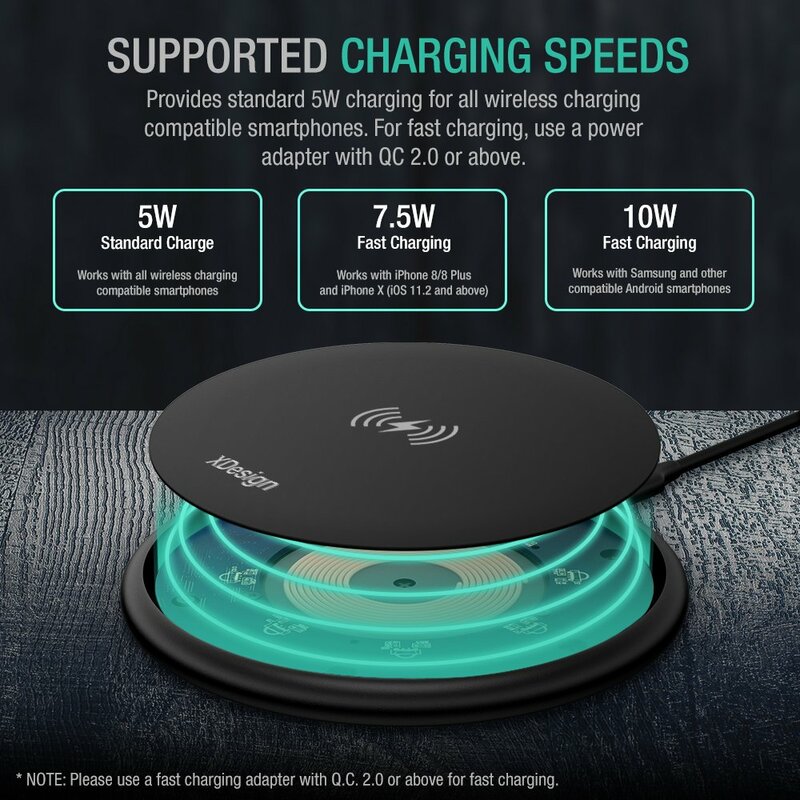 QI Fast Wireless Charger: Industry-leading wireless charging speed with 10W output power offers 2 times faster than other wireless chargers. 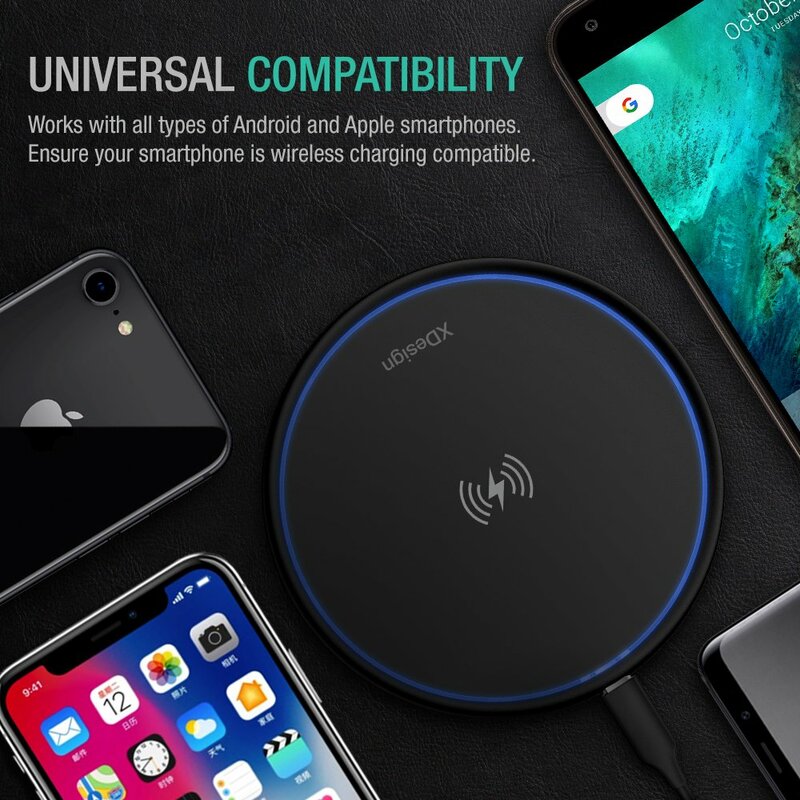 Universal Compatibility Wireless Charger: Qi-enabled devices are available at standard wireless charging speeds such as Samsung Note 4, Note 3, S5, S4, Apple iPhone 8, iPhone 8+, iPhone X and LG G3, G4 and all other wireless charger supported phones. 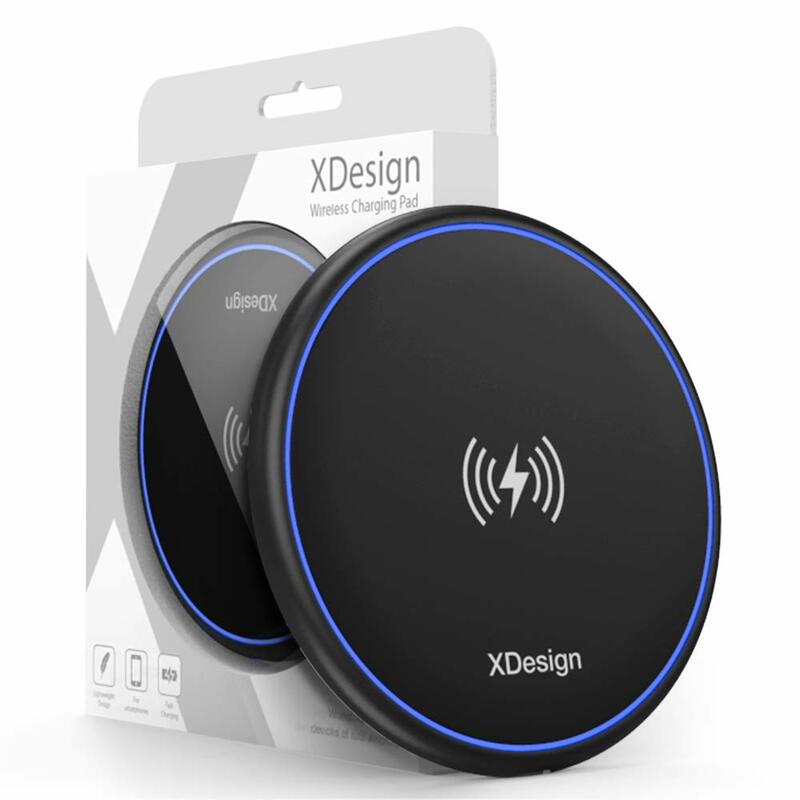 Double Coils and Creative Design Wireless Charger: 2 Built-in chips provide wider charging area, ensure safe charging and improve the life of the phone with smart technology for temperature control, overcurrent protection, and overvoltage protection. It’s a safe wireless charger. 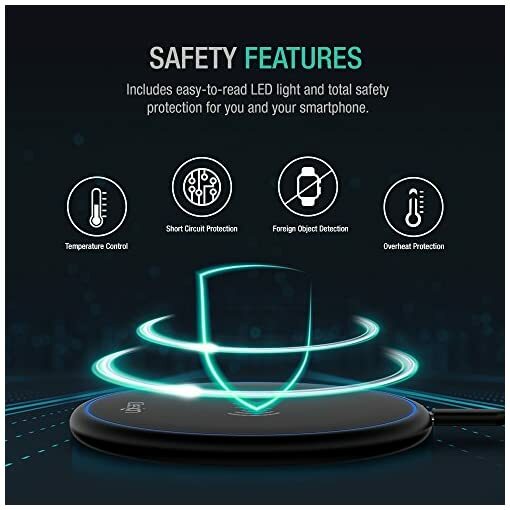 Support pad charging and stand to charge. Pad mode is easy to carry for your traveling. 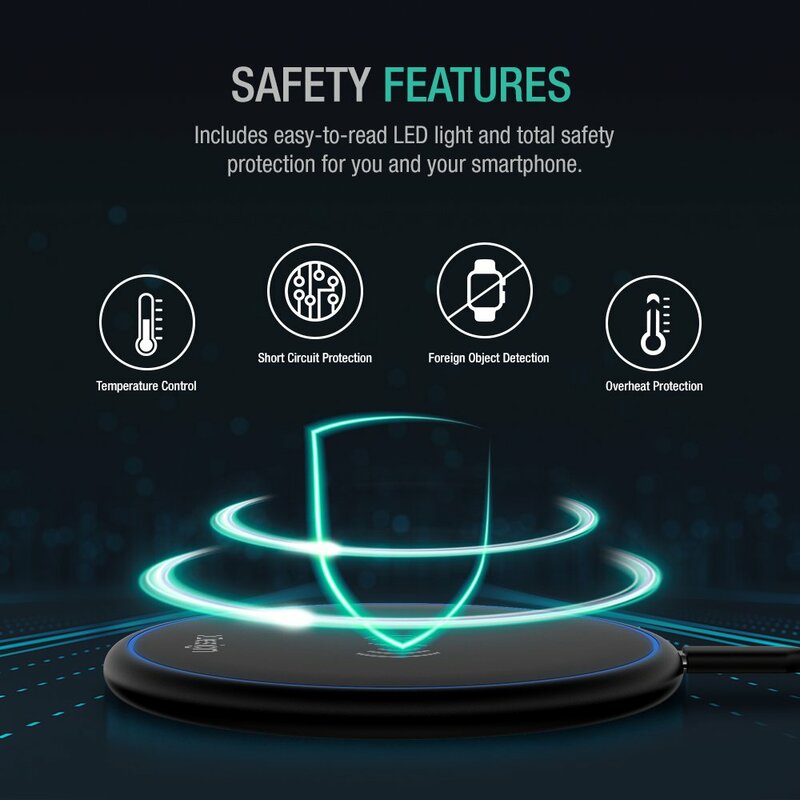 Multiple Charging Modes Wireless Charger: The phone can be wireless charging vertically, horizontally or parallel as you wish in the same charging effect. 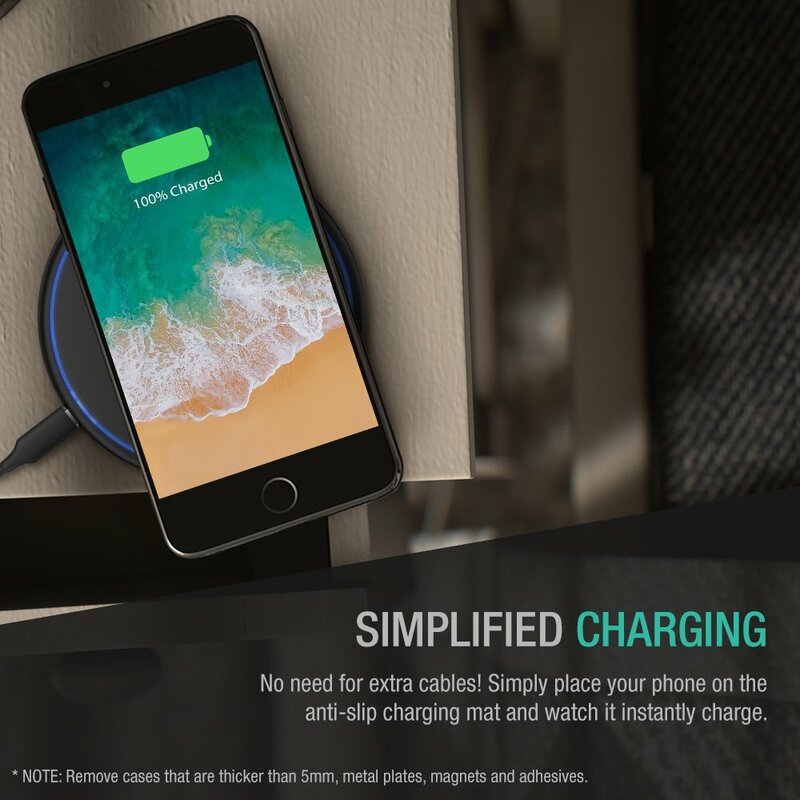 So it doesn’t interrupt charging from any positions while watching movies, listening to music, making calls or texts. 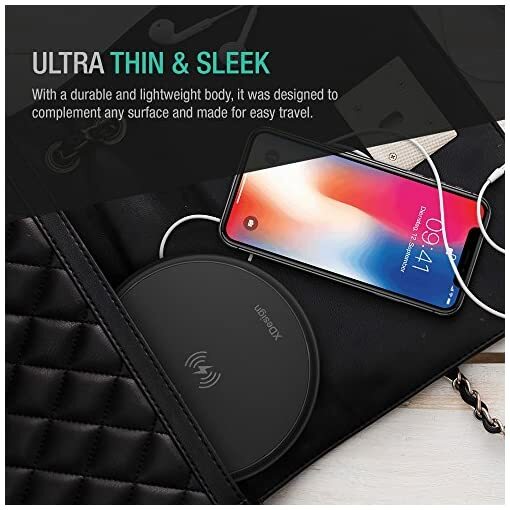 The magnet bracket/holder is attachable on the bottom from the back of the wireless charger. 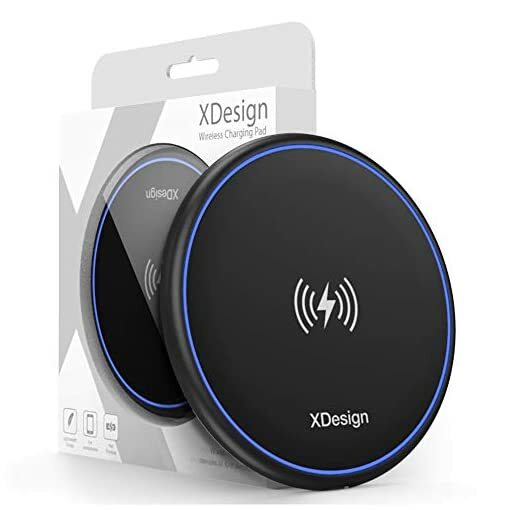 Wireless Charger Fast Charge support Devices: -iPhone XS Max / XR / XS, iPhone X, iPhone 8/ 8 Plus -Galaxy S9 / S9+ / S8 / S8 Plus /Note 8 / S7 / S7 edge / S6 edge+ / Note 5 -Nokia Lumia 830 / 920 / 1020 / 1520 / 930 -Yuta Phone 2 -Google Nexus 6 / 4 / 5 Wireless Charger Package Include: 1x Wireless Charger 1x USB Cable 1x Use Manual Doesn’t include AC Adapter Notice: Please don’t use an adapter that larger than 12W; Need a Quick Charge adapter to enable 10W fast charge model. LED POWR INDICATOR LIGHTS – A low-profile key, yet fully visible LED light turns blue/green to indicate whether it’s in standby or charging respectively. ADDED PROTECTIONS – Comes with overcurrent, overheat, over-voltage and short circuit safeguards system. 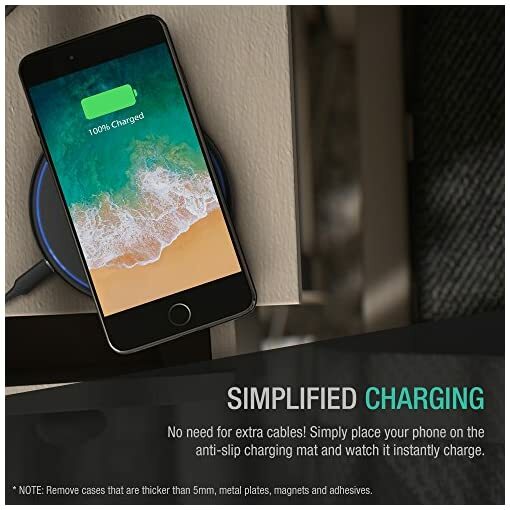 And the soft silicone anti-slip design helps prevent your phone from sliding. One Year Warranty.